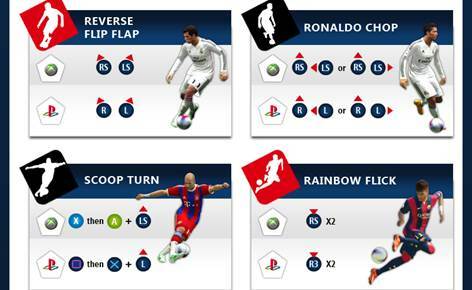 For all you dribbling fans out there, I have created an infographics for you, compiling all PES 2015 dribbling feints and tricks into one page for ease of reference. Download it, print it, keep it by your side, and share it with your friends and/or opponents! L and R refers to the left and right analog stick. Press down the left analog stick for L3, and the right analog stick for R3.